The tragedy that Edwin was referring to was an offshore oil platform southeast of the Mississippi River delta which exploded in April of 2010 and caused the biggest oil spill at sea ever. Majority of the platform’s 126 workers were safely evacuated from the platform; but eleven went missing and later presumed dead after rescue and recovery operations failed to find them. In New Zealand, for instance, geothermal power is responsible for supplying 14% of electricity to the national grid. Another ‘clean’ source, hydro-electric energy, supplies 17%. The rest of the country’s needs are provided by a mixture of gas, coal and oil generated power. Business worldwide, however, has not been as brisk as those in the industry would much prefer it to be. Apart from business operations, SKM also conducts social programs as most responsible corporations do. It is involved in rescue operations and supports the NZ government’s health, sports and education programs. Edwin is actively involved in SKM’s CSR programs as he shares what the company does with selected scholars. 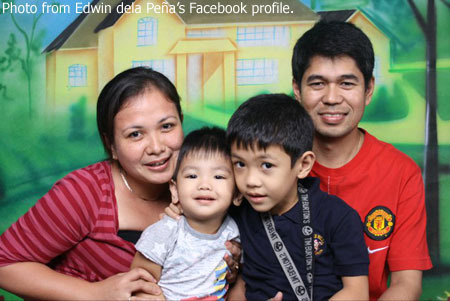 When not at work, Edwin spends the time with his small family visiting parks, dining together or attending Holy Mass. By himself, he likes watching documentary movies, especially those that channels like Discovery broadcast on a regular basis. Edwin thinks Filipino food is still the best. His favourites are adobo, caldereta and lechon. The last one, he laughs, is eaten with some restraint. Anything ginataan (cooked with coconut milk) is also irresistible. 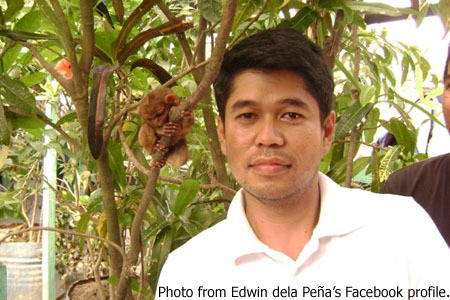 Because of the nature of his work, Edwin has also travelled extensively. He has been to China, Japan, the United States, the United Kingdom, Iran and Papua New Guinea. His favourite cities are New Orleans in Louisiana for its entertainment and London for its Art and History. Edwin is the son of Bartolome (now deceased) and Leonora dela Peña of the small municipality of San Jose in Batangas. He has three siblings in Melvin, Randy and Norilyn. He is married to Luzviminda, who also used to work at EDC and who was introduced to him by mutual friends. Edwin thinks of her as a strong, understanding, supportive and family-centred wife who complements him as a person. The couple has two boys in Carl Gabriel, who is eight years old, and Ian Miguel, who is three. Edwin says that his ultimate goal in life is to provide a better life not only for his small family but for everyone else that they love. I find it strange that he should even say this. What I remember of him from his high school days is that he was the one in his class that everyone gravitated to; and not only because he was smart, but more because he was very sociable. 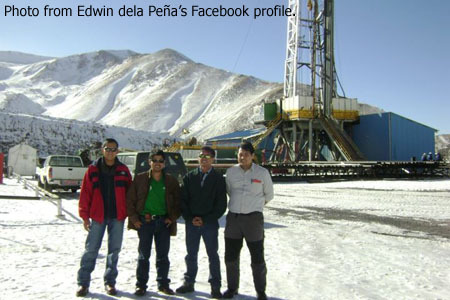 Looking back through the years, Edwin thinks that he has had a generally fulfilling career; except for what he calls those ‘toxic’ times when there was hardly any time left for family. He says that he has so much still left to learn and do; but finds joy in learning. “Only the old man stops learning,” he laughs. And Edwin has many more years left in him before he becomes old… That is why, as a personal philosophy, Edwin tries to learn something new each day.